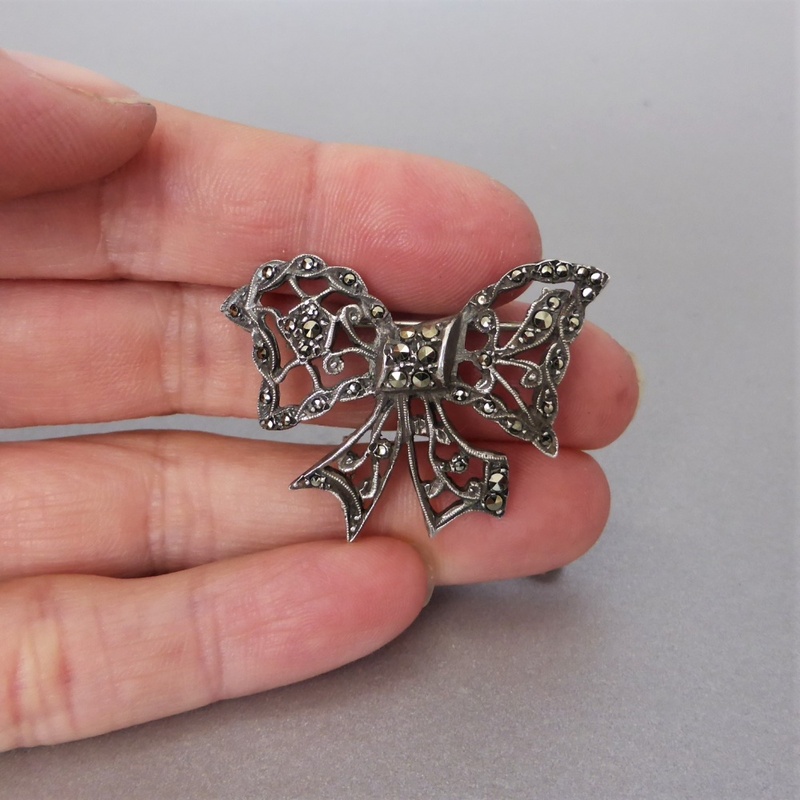 A pretty marcasite bow brooch from the mid 20th century, c1950's! 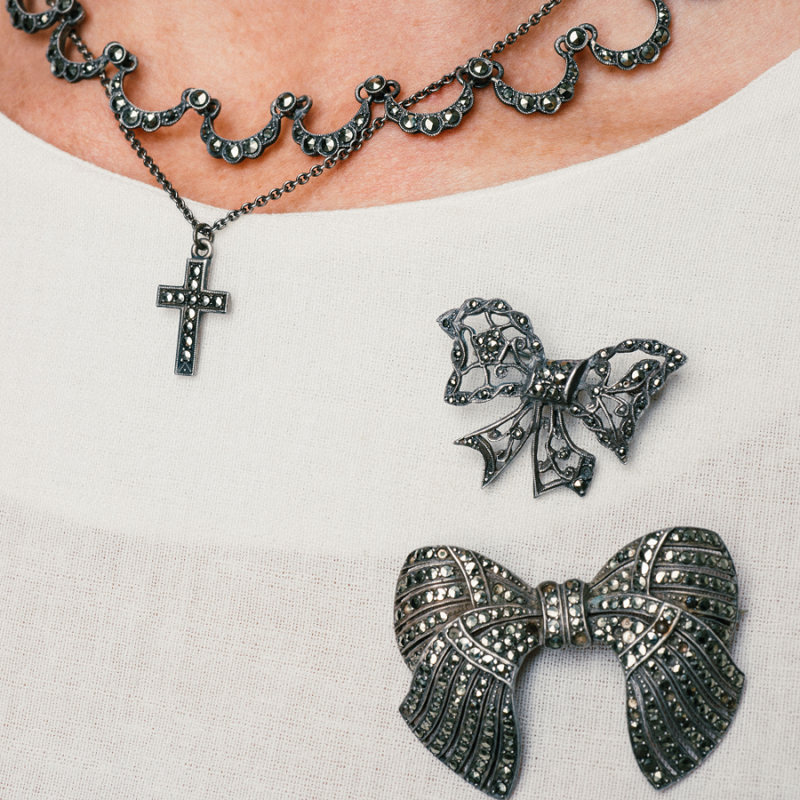 The brooch is made of sterling silver and features hand-set marcasite gems. The detailed bow motif has a wonderful 3-dimensional appearance with a pierced 'lacey' design adding a touch of elegance! 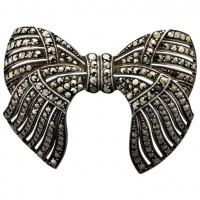 Dazzling marcasites are encrusted throughout the design and there is milgrain detail along each edge of the bow brooch. 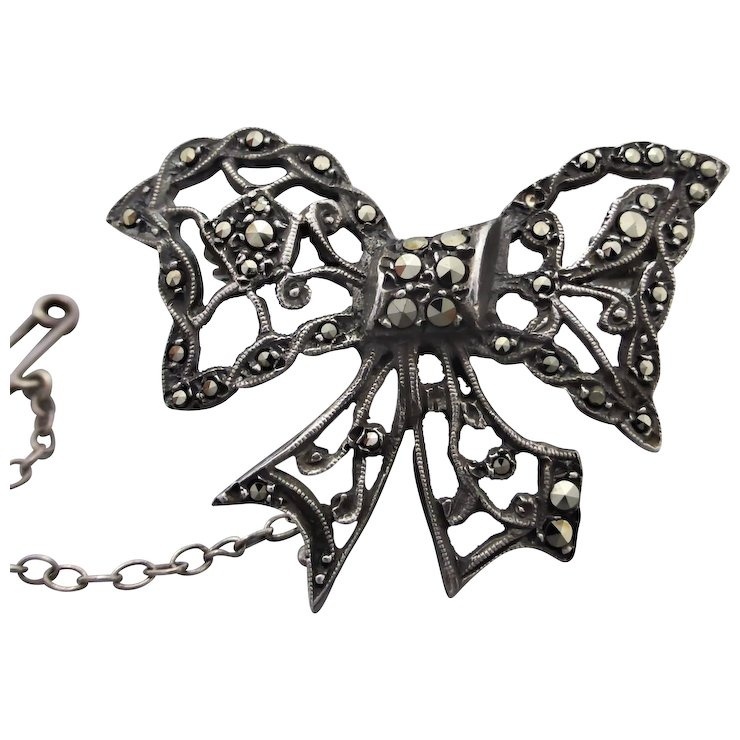 A pin and revolver clasp on the reverse makes up the rest of the brooch, as well a safety chain for extra security. A beautiful patina remains on the brooch adding further depth of character. Stamped to the back of the brooch is "LEGA" "STGSIL" "No134". Lega was a leading manufacturing jeweller in Melbourne, Australia which started trade in 1948. 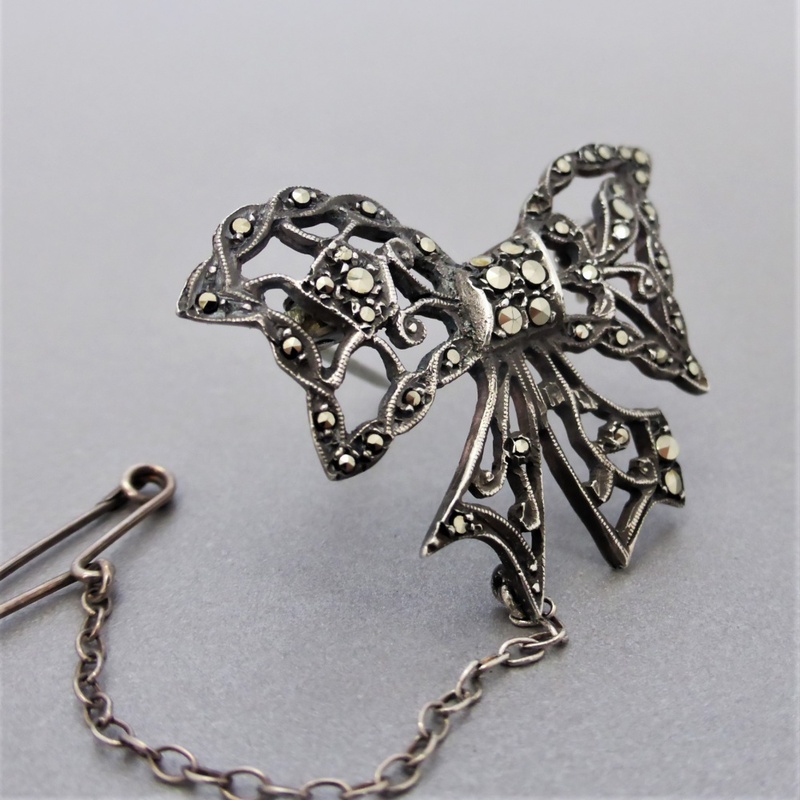 Lega made an extensive range of marcasite jewellery in the 1950's and was one of few firms producing marcasite jewellery in Australia for that period. 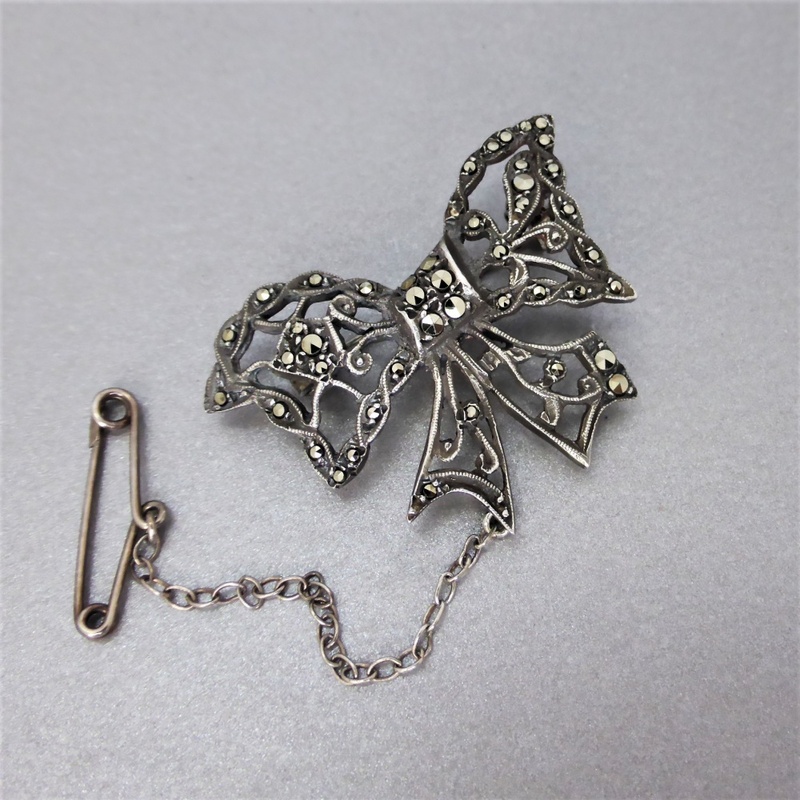 A feminine vintage brooch, easily suiting today's fashion. An elegant addition for the high-neck collar or jacket lapel! 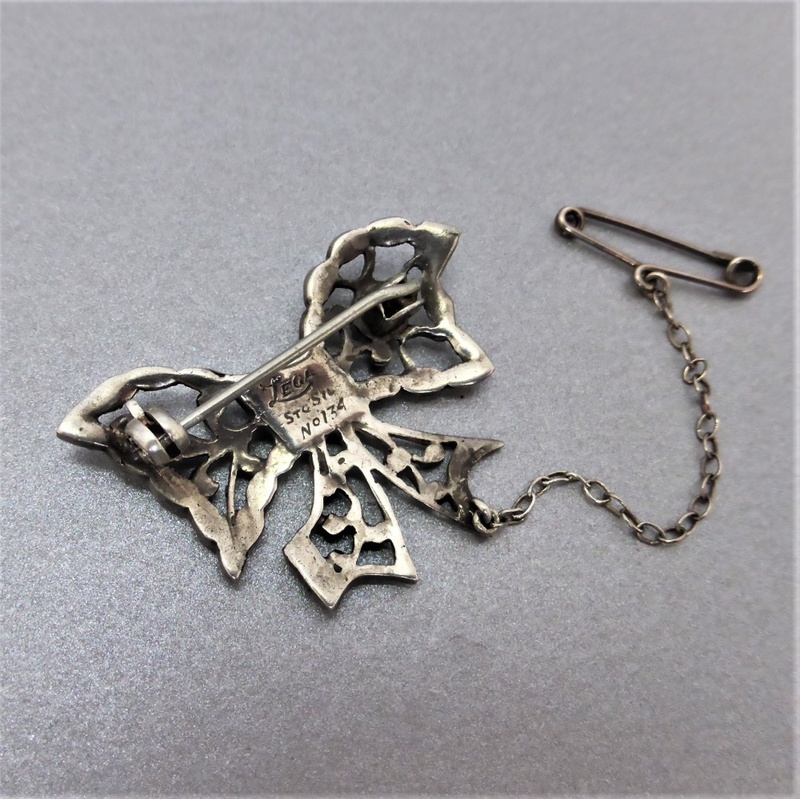 Hallmark: Stamped - "LEGA " "STGSIL" "No 134"
Condition: The brooch remains in good vintage condition. Besides normal surface wear there is no apparent damage to the silver or setting. Marcasites all appear intact with none missing. 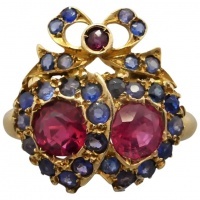 A wonderful vintage brooch!